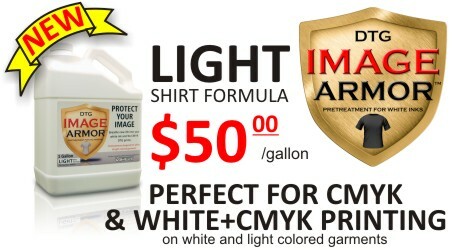 Image Armor is proud to announce the release of the new Image Armor LIGHT Shirt Formula for White and Light Colored garments. 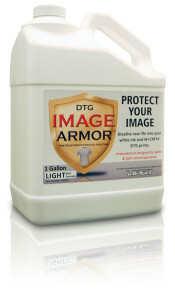 The new LIGHT Shirt Formula will change the way you print DTG shirts. 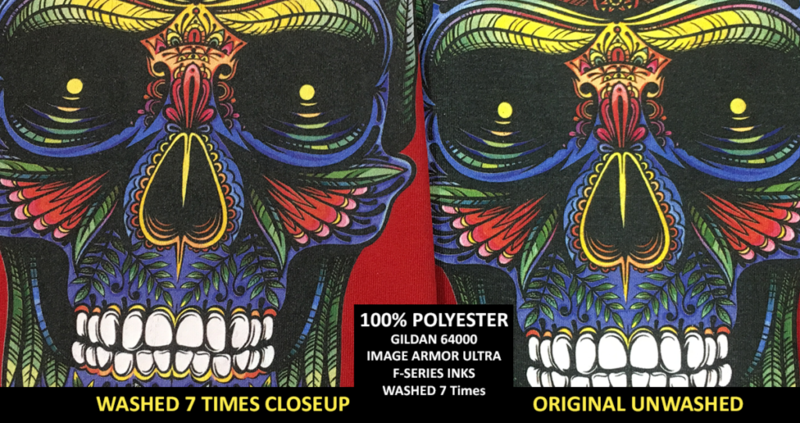 Using it on white shirts for just CMYK printing will yield high end screen printing like quality prints with great wash fastness. Works great on 50/50 or even white 100% polyesters shirts opening new markets for your DTG Printer. 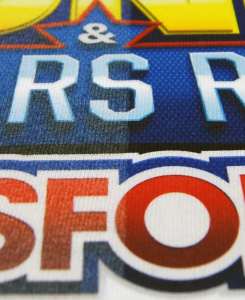 When printing on white 100% polyester fabrics you can achieve sublimation like prints at a fraction of the labor and costs. 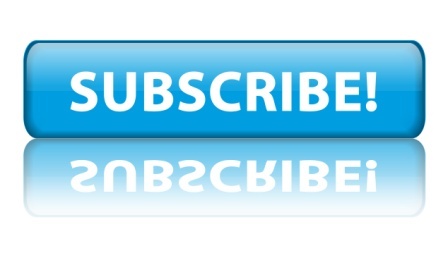 Plus, opening the door to 50/50 shirts will expand your printing options and give customers more choices over only printing 100% cotton garments. As can be seen in the photograph to the left, the left side of this image was not pretreated while the right side of the shirt was pretreated with Image Armor LIGHT Shirt Formula. The shirt was a 50/50 Jerzees 29M white t-shirt. Previously, untreated 50/50 blend shirts left the colors dull and wash fastness lacking as much of the image faded the first wash or two. 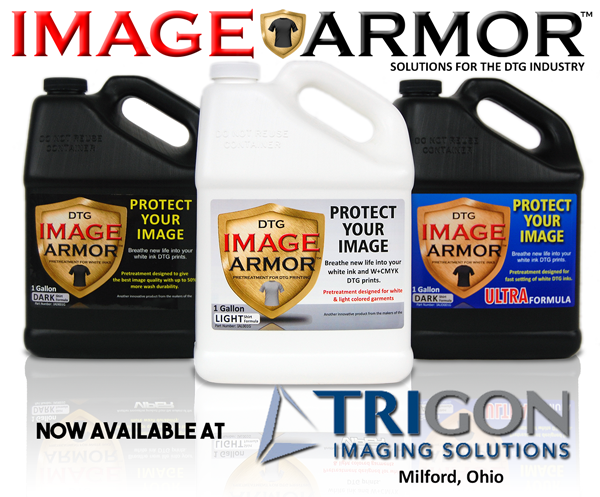 With Image Armor Light Shirt Formula you can see a definite increase in detail, color vibrancy and the wash fastness will enhance the perceived value of your garments as well as give your DTG printing business a new found legitimacy on a wider variety of garment colors and styles. 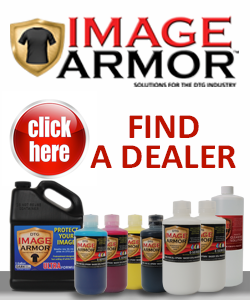 See our Dealer Network for purchasing Image Armor Light Shirt Formula. 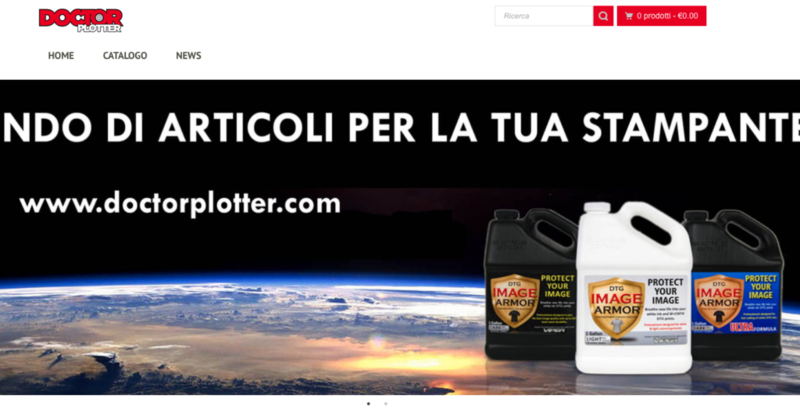 Posted in Press Release and tagged CMYK, direct to garment, DTG, Image Armor, Light Shirt Formuyla, printing, W+CMYK.